New 8-page PDF featuring some of Marsh Industries top selling products. Features markerboards, tackboards, conference cabinets, reversible boards, Retro-fits and Poly-Rite. 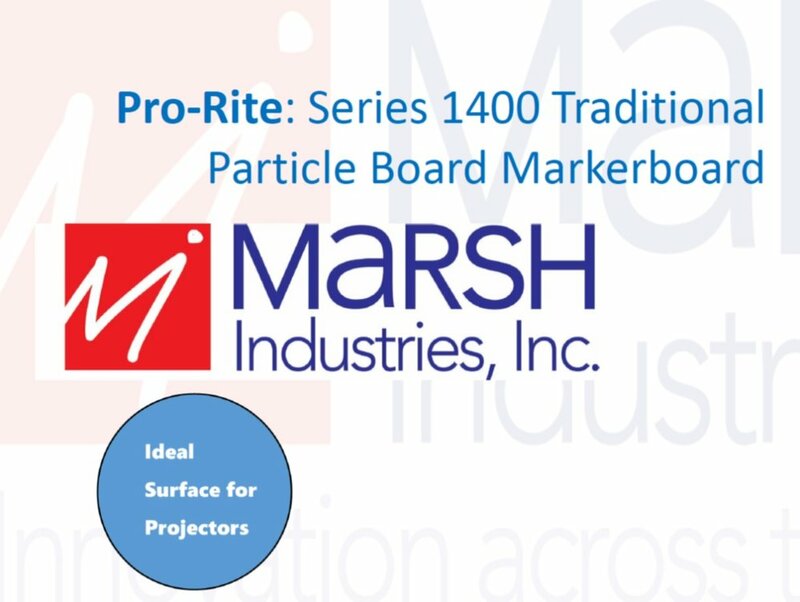 This PDF explains why the PB series is ideal for projection applications, provides a part number and product overview along with contact information. This new 5 page PDF can be customized on the last page to include your contact name, contact details and logo - just contact Mark Drobney to get a custom version. Did You Know Marsh Offers Full Height Markerboard Walls? Full height markerboards sized 6 feet and 8 feet high by unlimited widths (using H bar) are available from Marsh Industries. As well, single unit markerboards can be sourced as large as 5 feet high and 16 feet long. Please contact Marsh at your convenience for pricing and information on these large size markerboards!